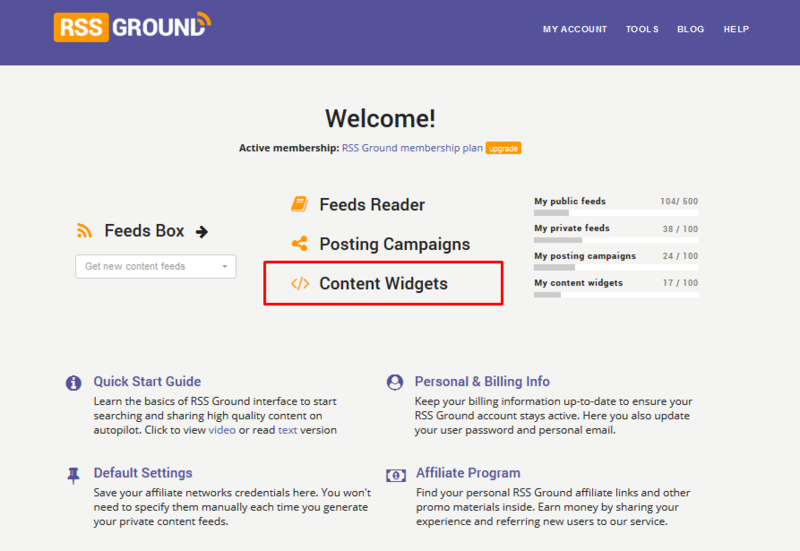 This tutorial is about managing your content widgets under RSS Ground account. 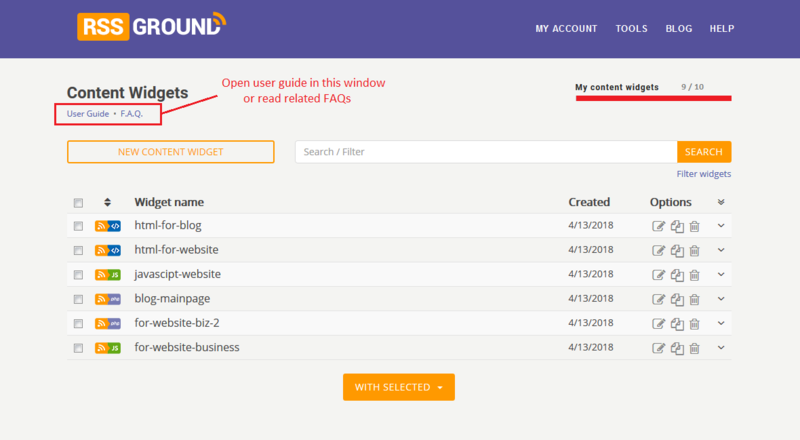 If you don't have any content widgets yet and have no idea how to create one, it will be better to start with Creating Content Widget guide and then come back here to continue. 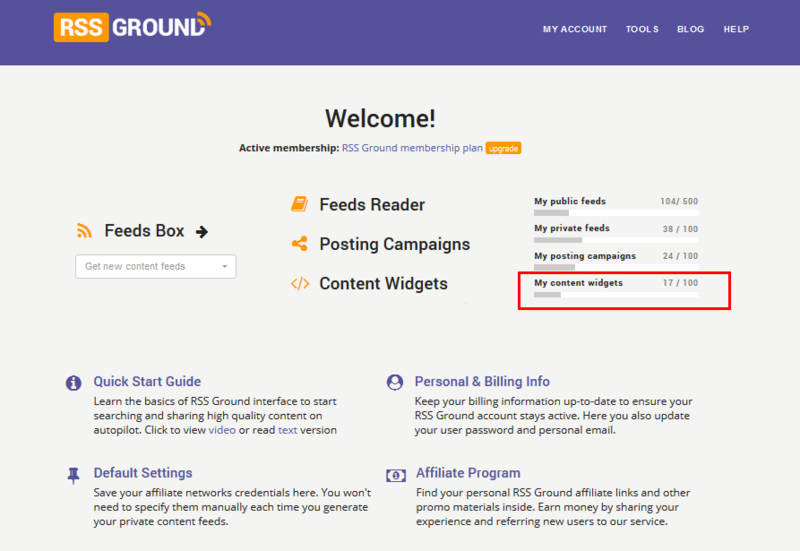 You can have one or several active content widgets under your RSS Ground account depending on your membership level. 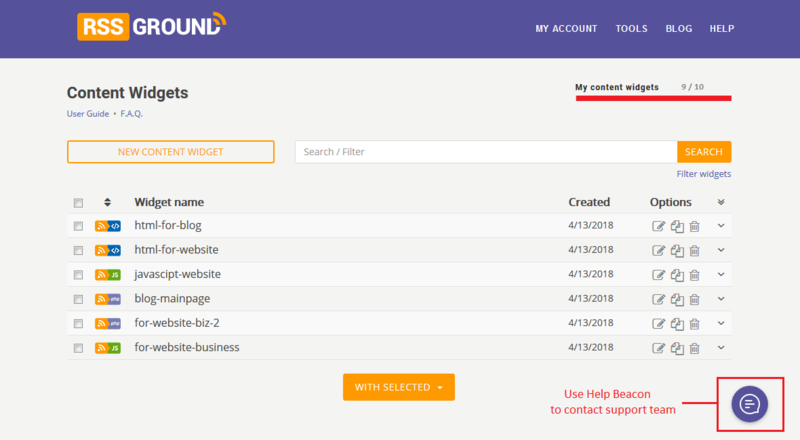 See how many widgets you already have and how close you are to your limit in MY ACCOUNT section of your RSS Ground account. 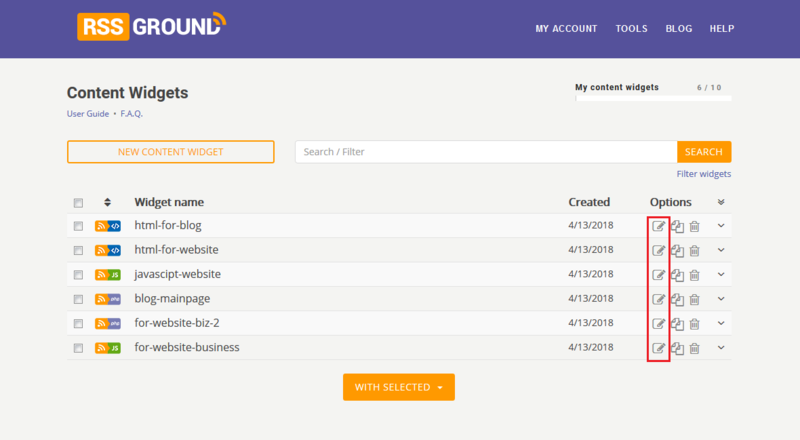 To find all created content widgets and manage them, please click on Content Widgets in MY ACCOUNT section. Content widgets are sorted by creation time with most recent widgets on the top. 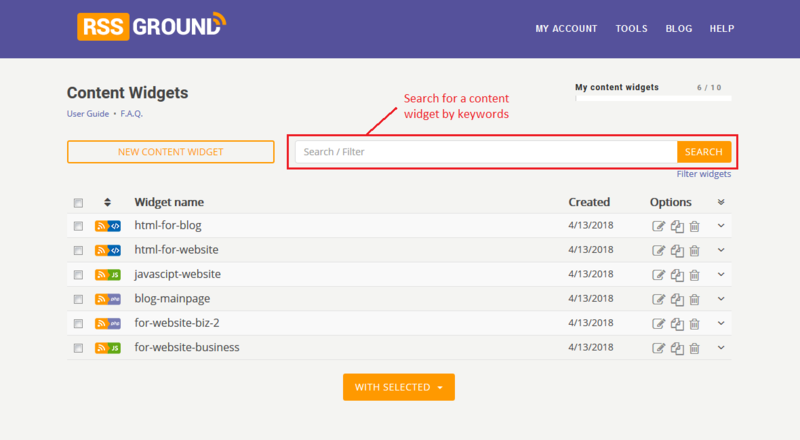 You can search for a particular content widget by keywords using Search bar. Or you can Filter widgets by different parameters. To make any changes in your content widget click on Edit icon to go to widget's editor. By the way, you can easily create a copy of your content widget if you wish to create a new one with similar settings. Click on Copy icon. 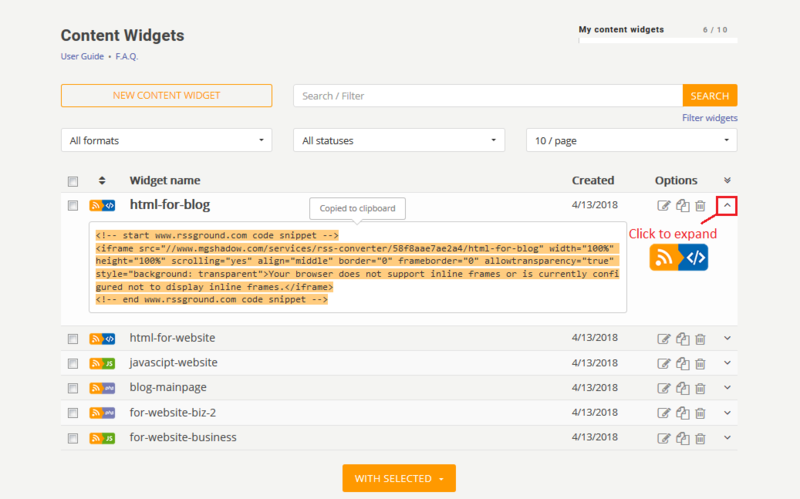 If you wish to see a code snippet of your content widget, click on "arrow down" icon. Then click on code snippet to automatically copy it to clipboard. If you think you don't need this content widget any more click on Delete icon. 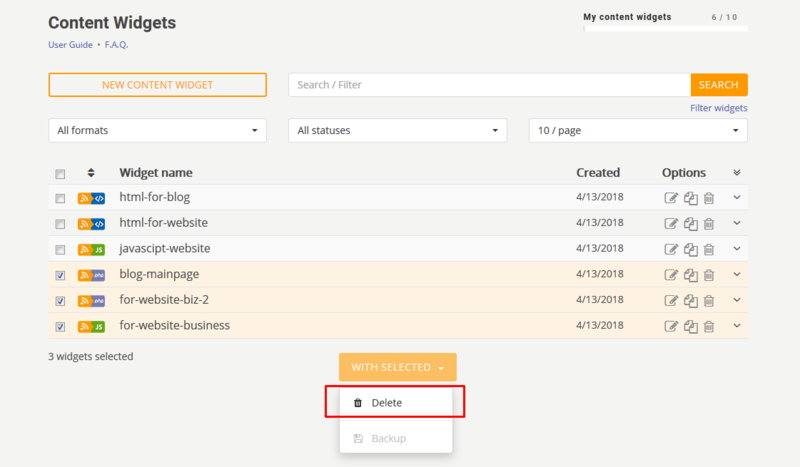 You can delete your content widgets in bulk. Select needed widgets and press WITH SELECTED button. Then choose Delete option. 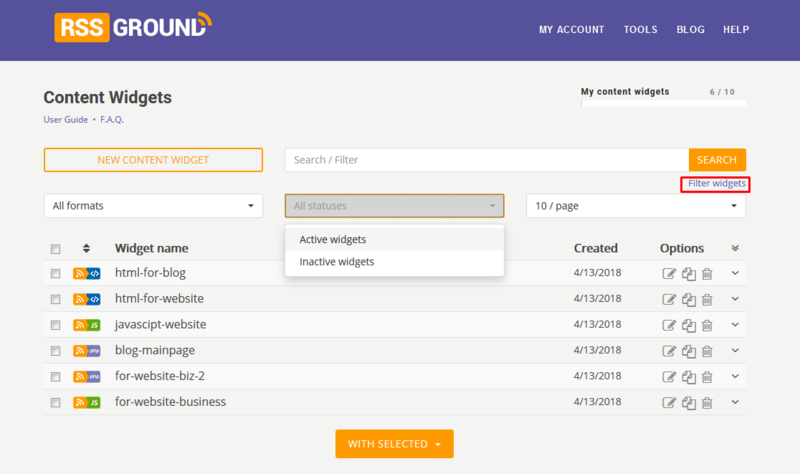 Use NEW CONTENT WIDGET button above widgets list to create a new content widget. 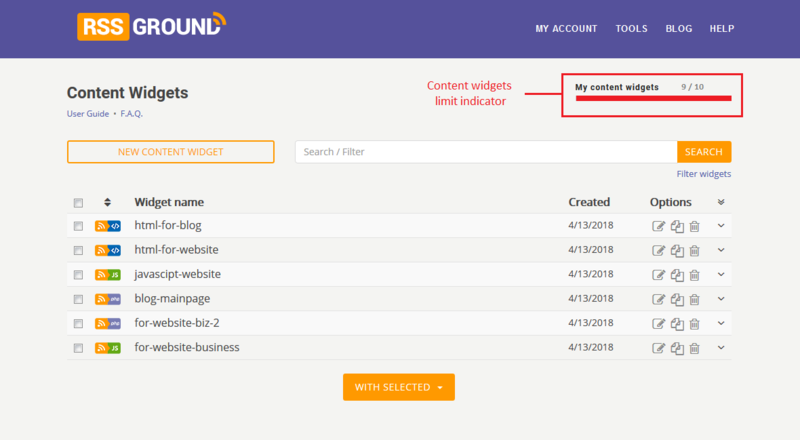 Remember about the limit on the number of content widgets for your membership level. Pay attention to a special indicator above the list of widgets. 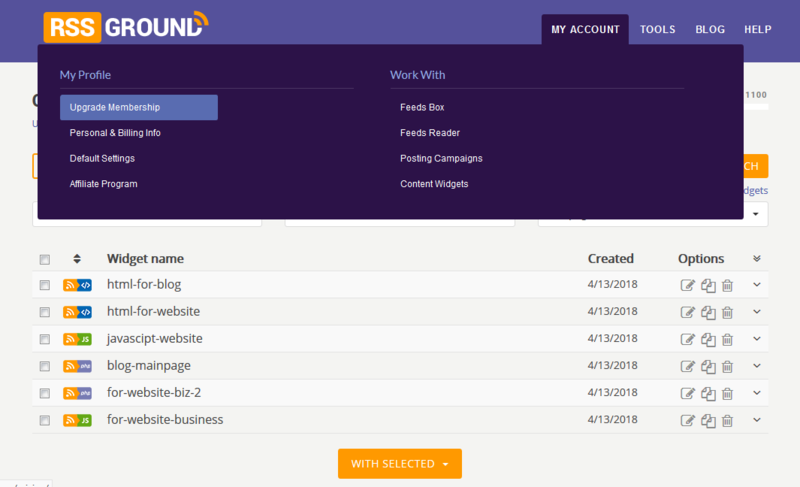 It will show you how many content widgets you already have, and how close you are to your limit. If you are close to your limit the indicator will be red. 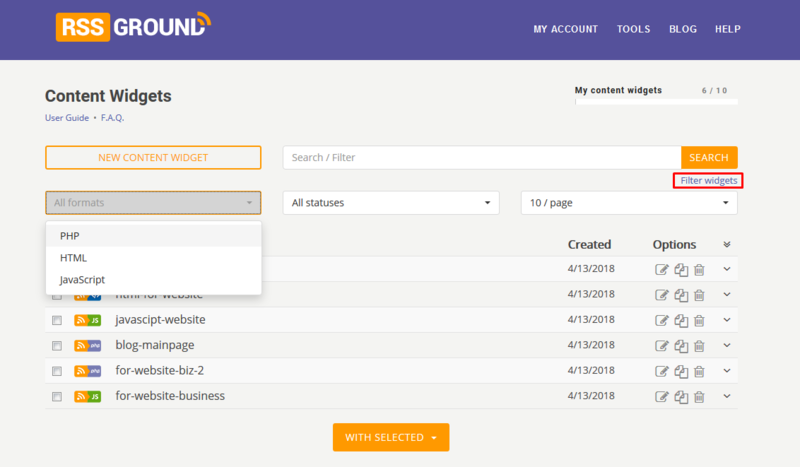 As soon as you hit the limit you will have to delete existing widgets to create new ones or upgrade your membership to a higher level. If you still have any questions or need any assistance, please don't hesitate to contact our support team using help beacon. We are always glad to help you with any issue.